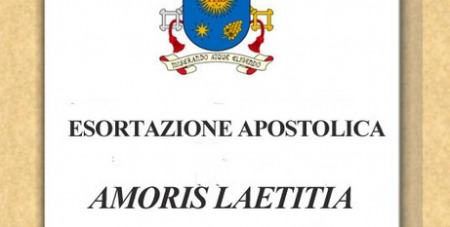 Amoris Laetitia, the Pope's apostolic exhortation in response to the Synod on the family, will be released later today in Rome. A Vatican reading guide sent to bishops says the Pontiff wants the Church to adopt a new stance of inclusion towards society. The guide explains that Francis "encourages not just a 'renewal' but even more, a real 'conversion' of language." "The Gospel must not be merely theoretical, not detached from people's real lives," states the guide. "To talk about the family and to families, the challenge is not to change doctrine but to inculturate the general principles in ways that they can be understood and practiced." "Our language should encourage and reassure every positive step taken by every real family," it continues. Here are six features to look for in the document. Second, what does the exhortation say about families suffering from poverty and marginalisation? In his encyclical Laudato Si’, Pope Francis condemned the economic and political causes of environmental pollution; don’t be surprised if he points out how capitalism and globalisation have been bad for families. Families where the father is unemployed have a difficult time surviving. He will want government action to support families. Pope Francis’ first two major documents, Evangelii Gaudium and Laudato Si’, were remarkable for their readability and their pastoral tone. He does not speak in abstractions. Nor does he nag. While he will not change Church teaching, this exhortation will not read like the marriage section of The Catechism of the Church. NOTE: This weekend CathNews Perspectives will be published on Saturday morning, instead of this afternoon, to ensure we bring you all the news and analysis of Amoris Laetitia. CathNews on Monday will also feature special coverage of the exhortation.